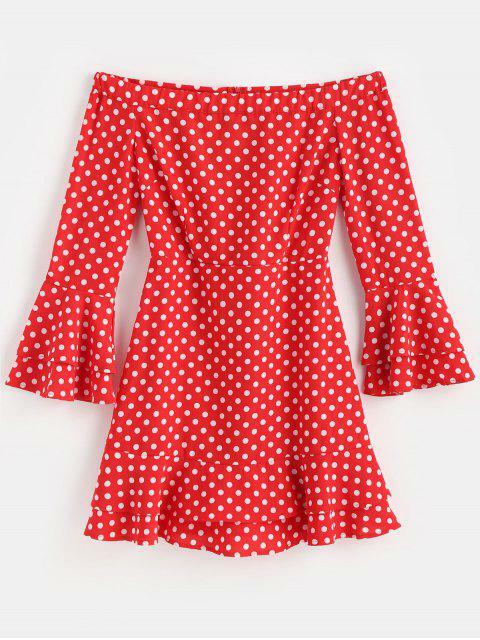 [36% OFF] 2019 Off The Shoulder Polka Dot Party Dress In FIRE ENGINE RED | ZAFUL .. This dress fits perfect! Its just like the picture and true to size! 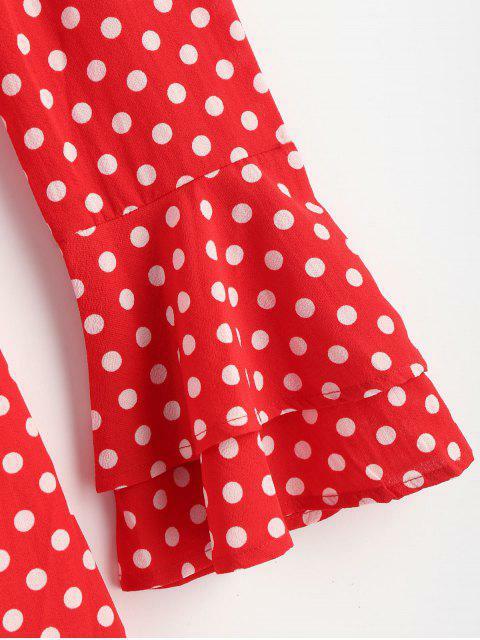 Give your favorite party dress a rest in favor of our polka dot bodycon dress. 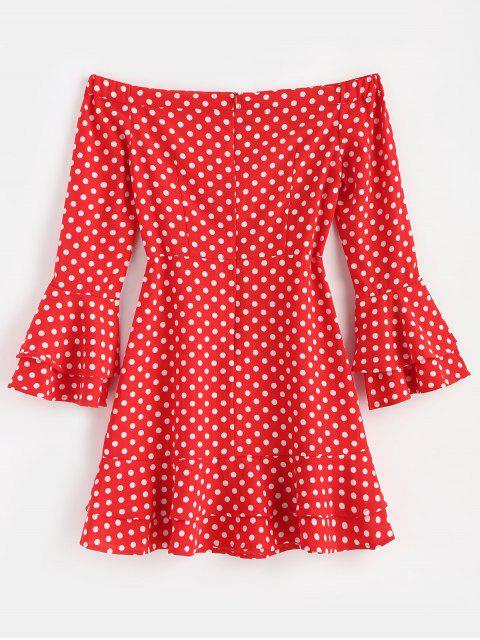 It features a shoulder-baring collarline, long sleeves with fluted, tiered cuffs, a clingy fit, a ruffled hemline. It is fastened by a concealed rear zip.